The bounty hunters were out in full force on Friday as another three tournaments from 888poker’s XL Blizzard schedule got underway. All three tournaments were of the Knockout variety, giving the player who finished off a competitor a bounty that goes straight back into their bankroll. With $45,000 in guarantees at stake, all three tiers of tournaments ($150, $75 & $35) drew plenty of willing participants and every guarantee was crushed. On the horizon, the $1,050 $1,000,000 GTD Main Event is only one day away when a six-figure first place prize will be awarded. 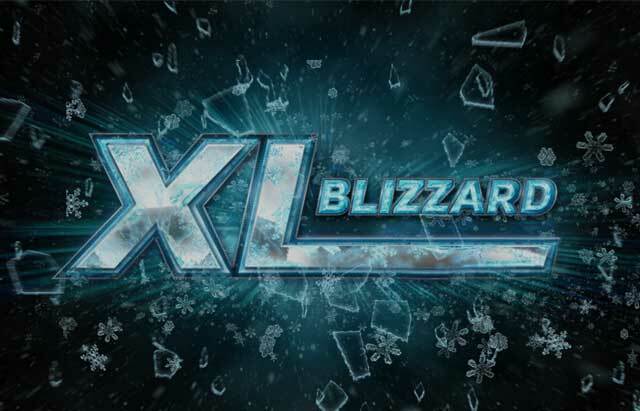 In the meantime, there’s still prelims to get through and XL Blizzard Leaderboard points to be accumulated. This tournament was a bit of a lengthy tournament for the XL Blizzard series, pushing deep into the ninth hour of play as a three-handed battle ensued. But once PocketFiver Jerry ‘Perrymejsen’ Odeen was knocked out in third place, the final two wrapped it up in a matter of hands. The Netherlands ‘LucySagara70’ took home the top prize of the day for finishing in first. The grinder won $5,112.50 from the main prize pool and sent 10 players to the rail for an additional $410. The UK’s ‘Patsharpe’ cashed for $3,750 and an additional $348.50. The aforementioned Jerry ‘Perrymejsen’ Odeen, currently the #19 ranked player in the world, finished in third for $2,825 (+$369). For the Swedish crusher, who has over $3.6 million in lifetime earnings and four Triple Crowns, this was his first XL Blizzard result of the series. On the other hand Fabrizio ‘DrMiKee’ Gonzalez (aka ‘SixthSenSe19’), the #12 ranked player in the world, is making a habit out of racking up XL Blizzard cashes. Joining Odeen on the final table, finishing in seventh for $875 (+$492 – the most bounties of anyone in the entire tournament), Gonzalez cashed in both Event #23 and #24, gaining a head of steam right before the Main Event on Sunday. The $35 $10,000 Mini Knockout drew 731 players to push the prize pool to a total of $23,757.50 with $18,275 going to the main prize pool and $5,482.50 carved out for bounties. In this one, each person came with a $7.50 bounty on their heads. A heads-up deal was made between ‘grigorq77’ and Brazil’s ’SeuZezinho23’. Officially, finishing in first and taking home the XL Blizzard title, ‘grigorq77’ won $2,889.84 out of the main prize pool. He added an addition $97.50 for having knocked out 13 players. ’SeuZeninho23’ took home slightly less from the main prize pool for his second place finish, walking with $2,858.07. He did, however, earn the unofficial title of Biggest Mini Bounty Hunter, being the only person to earn triple digits in bounties – finishing with $105. A pair of PocketFivers got close to closing out this one with appearances at the final table. Brazil’s Hiran ’supertrampbr’ Bass finished in fifth place for $950.30 (+37.50). Currently ranked at #761 in the world, Bass currently has over $600,000 in lifetime earnings and this score marks his third largest cash of 2018. Right behind him is Belarus’ ‘vampa500’, finishing in sixth for $767.55 (+30). This is not the first final table for ‘vampa500’, he also finished as the runner-up in Event #4 for a career-high cash. Then he followed that up with results in Event #7 and Event #15. All told, his series has him sitting ranked #23 on the XL Blizzard Leaderboard with two days of play left.